Are you in the market for a flybridge cruiser? Then the following tri-deck motorboats ought to be firmly on your shortlist. 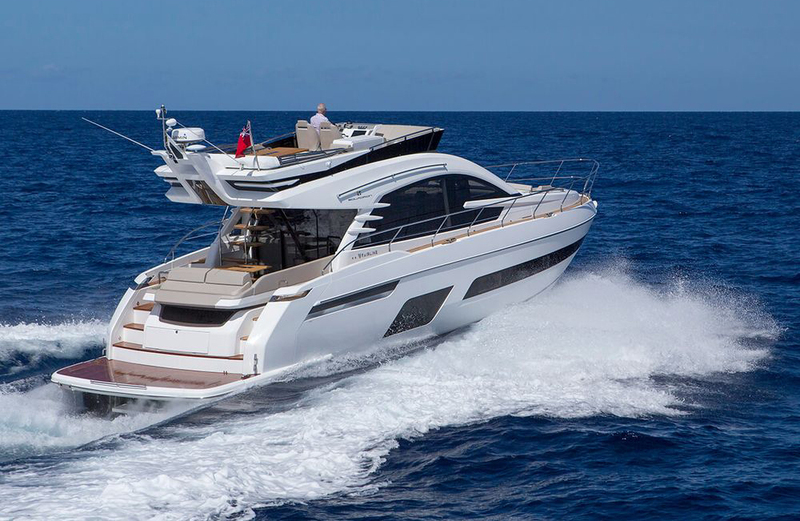 Galeon's 500 Fly is still one of the most remarkable production boats on the market. As you would expect of a 50-foot cruiser, the Galeon’s fly deck offers a sun platform, a wet bar and a convertible dining section. Down below, you also get a large ensuite master cabin amidships, a compact double bunkroom to starboard, an impressive VIP guest cabin in the bow and a crew cabin aft. But it’s the main deck that really hits home, with a saloon that opens out on both sides, a cockpit with rotating seats, a superb dining station on the foredeck and a helm that adjusts to become an authentic part of the action. If you want even more ingenuity, Galeon’s ‘Skydeck’ configuration (with a smaller fly, further aft and lower down) is also available – but either way, the Galeon 500 Fly is an outstandingly original and effective piece of design. The refined and streamlined Prestige is full of hardworking solutions. 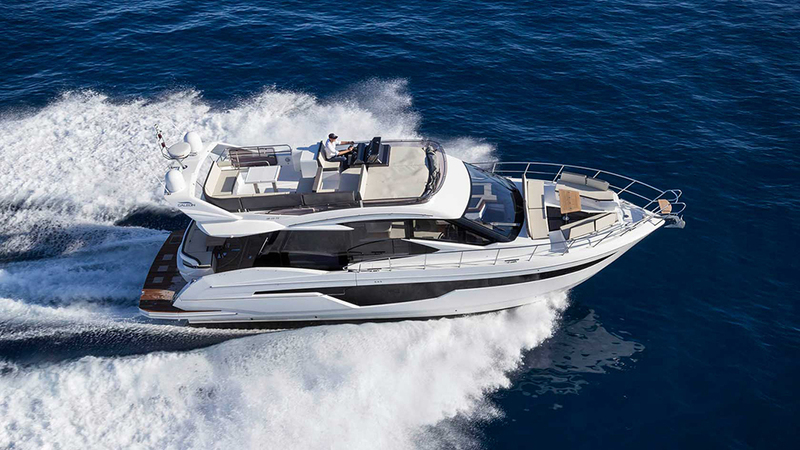 The sport variant of Prestige’s 680 is an outstandingly stylish, comfortable and refined 70-foot flybridge motoryacht. With slivered windows and an air draft around 1.2 metres lower than that of the regular 680, it feels impressively streamlined. The fly is positioned a little way aft, freeing up space for a large sunroof to bathe the lower saloon in natural light - and instead of jamming the master suite beneath the saloon floor and butting it up against the engine room’s forward bulkhead, Prestige has positioned it in the bow, where both the headroom and light ingress are noticeably improved. To aid with privacy, the three guest suites are accessed via their own staircase on the starboard side of the lower saloon and the running refinement is also first rate. 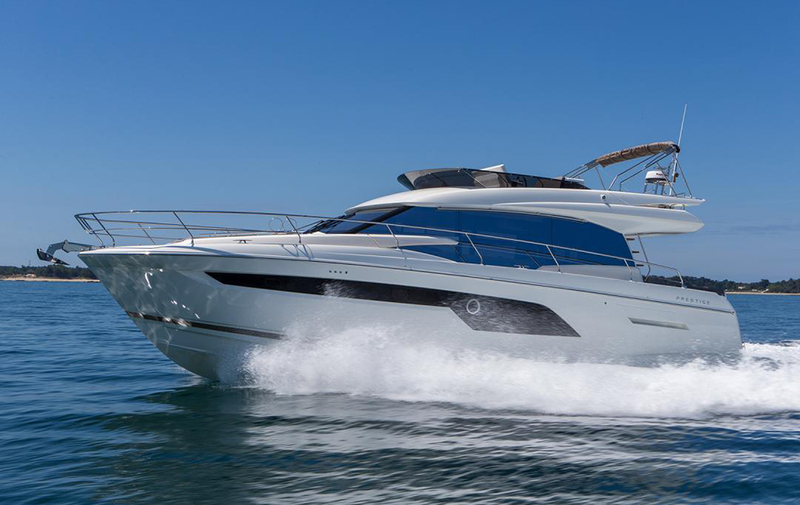 At a cruising speed of around 23 knots, even with the big sunroof wide open, the 680S offers a delightfully quiet, smooth and civilised experience. 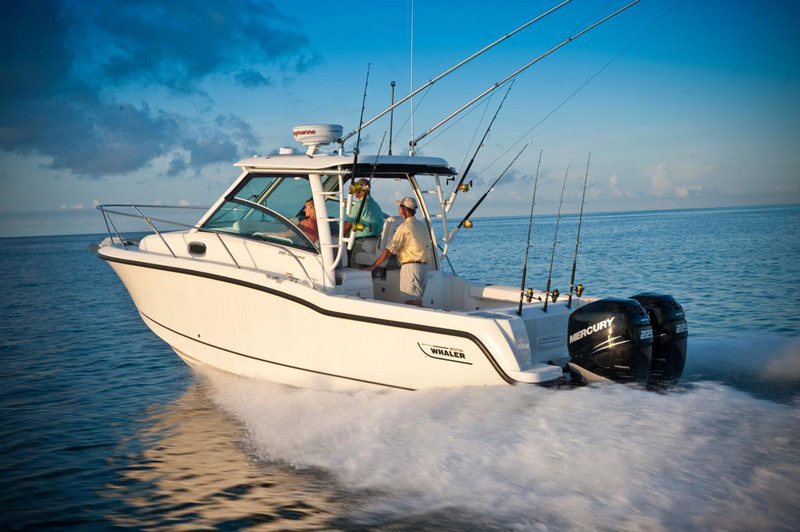 Cranchi's E-52 is available with either a traditional or a sporting fly deck. With plenty of attention paid to the finer details, courtesy of designer Christian Grande, this is the most rewarding Cranchi for a long time. It offers a communal helm, positioned amongst the saloon’s upper dining area, and a galley further aft, in prime position for proper integration with the external cockpit. Down below, the brightly lit central atrium leads off to three double cabins and two heads cabins with separate showers - and you also get a compact crew cabin aft. And up top, the shorter, lower profile ‘Sport Fly’ of this ‘S’ model helps drop the centre of gravity, reduce the weight, tweak the style and increase the natural light that reaches the lower helm. If you would prefer to sacrifice all of that for the extra space of a full fly deck, the Cranchi E-52 is also available as a traditional fly but either way, it’s a great looking boat and a very effective cruising platform. 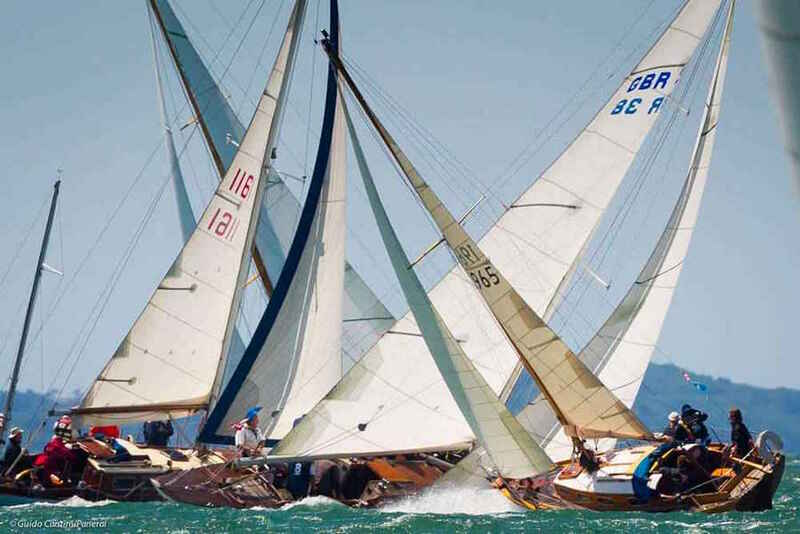 Sealine's flagship is a very worthy flag-bearer for the revived fleet. 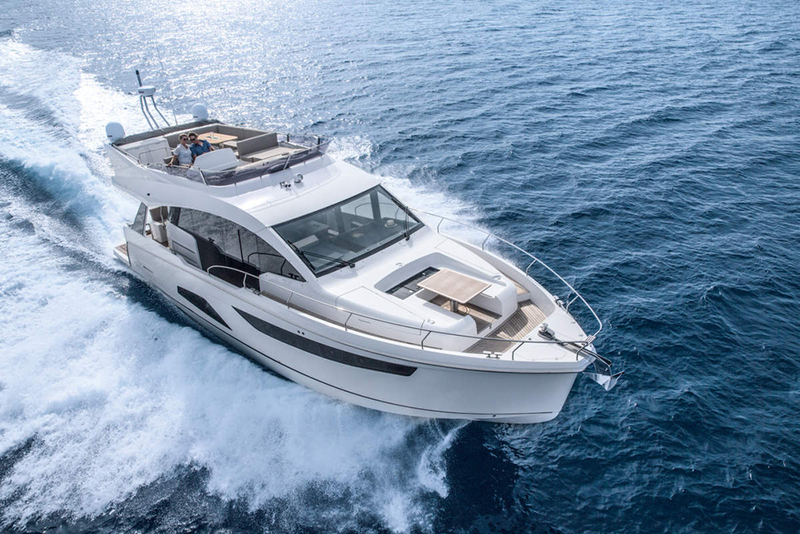 Designed by Bill Dixon, Sealine’s family-friendly F530 comes with three large cabins, two heads compartments with separate showers and twin Volvo Penta IPS 600 engines as standard. 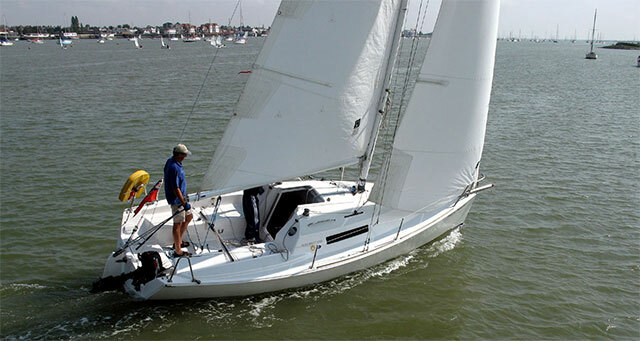 The impressive foredeck seating section includes a robust bimini, swanky pop-up lamps and easy conversion into a sun lounger; and the large saloon door with fold-up window brings some attractive integration between the cockpit and saloon. Step inside and there are some fantastic views through the floor-to-ceiling windows that wrap around the saloon and there are optional side doors to both port and starboard with convertible sofas to help open up proper access as you move about the boat. As for the flybridge, that also excels, with lots of space above the cockpit, an optional hardtop and plenty of convertible lounging seats. Read our full review here. For a flybridge cruiser with a sporting edge it's tough to beat a Fairline Squadron. 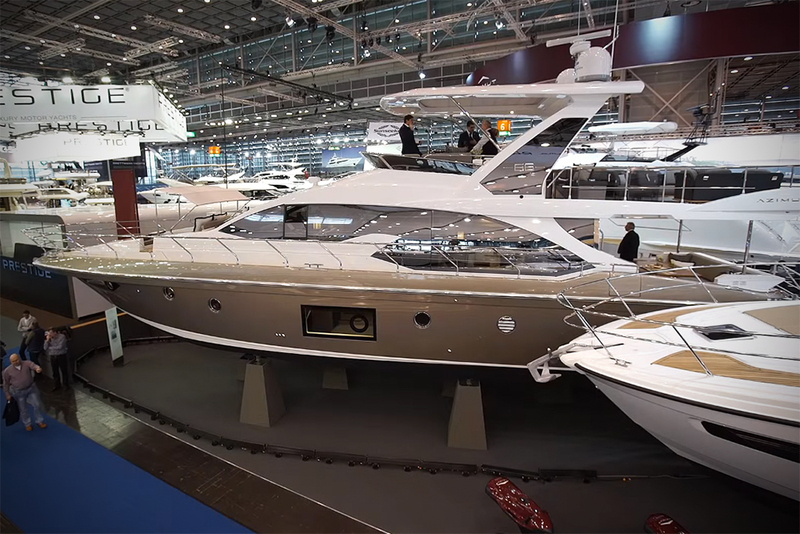 With a length closer to 56 than 53 feet, plus design input from Alberto Mancini, the Fairline Squadron 53’s spacious main deck is optimised with a single-level floor and some welcome flexibility in the position of the all-important galley. In fact, the galley can be specced forward or aft and either up or down – and you get the same degree of flexibility elsewhere, with twin or triple helm seats up on the fly, a three or four-cabin layout and plenty of more detailed customisation regarding fabrics and furniture. 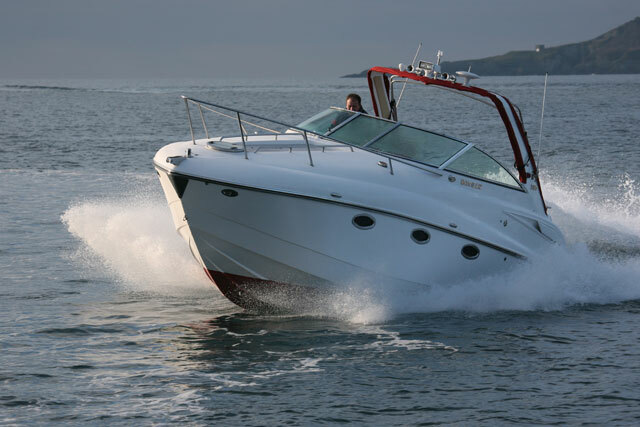 With its vectored angles and barbed mouldings, this is not a boat that fades modestly into the background, but with engine options that take it close to the 35-knot mark, it’s very plainly a plaything as well as a cruising machine. 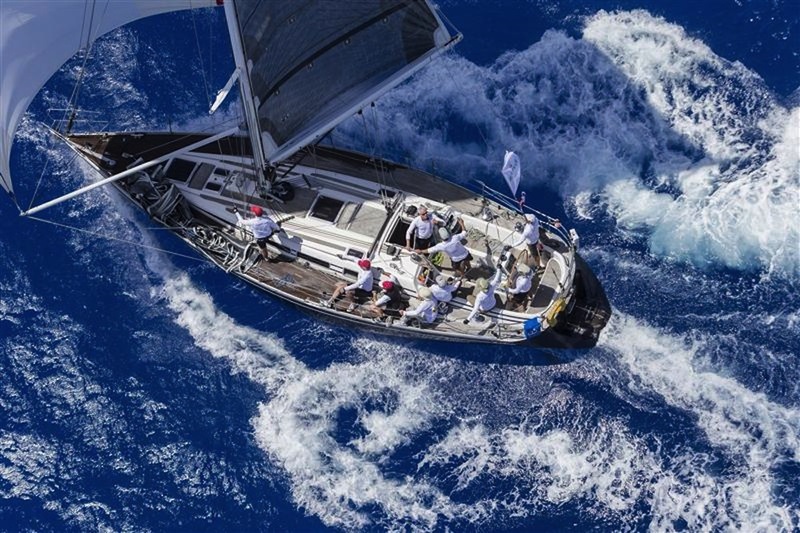 7 Lagoon's 630 Motoryacht shows just how much can be achieved with twin hulls. Photo Jerome Kelagopian. If you want a huge fly deck on a modest length of boat, it pays big dividends to investigate the catamaran market. Lagoon’s 630 MY is a case in point. 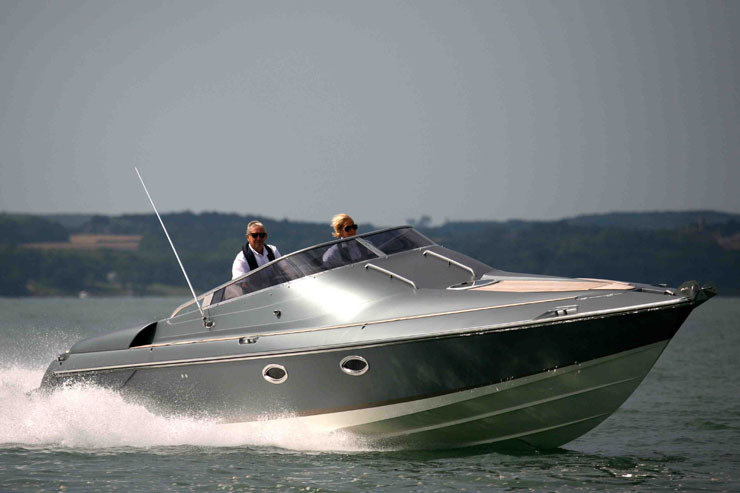 While the company ceased production of its motoryacht fleet in 2006 in a bid to expand production of its sailing range, the arrival of this new motorboat is very welcome. It comes with a massive 33-foot beam, enabling sufficient flexibility to offer a choice of four, five or six cabins. 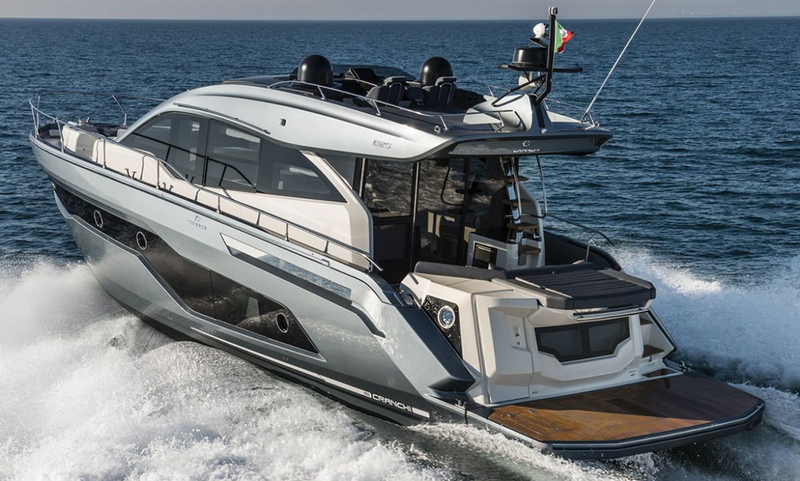 Up on the fly deck, there are a couple of helm stations, a ten-man dining section, a wet bar, an optional Jacuzzi and a large lounging area with a double sunroof-equipped hard top. The additional provision of trans-oceanic range, a glorious owner’s suite and a high-class fit-out, allied to the space, ride softness and stability endemic to the type, make this a very talented cruiser indeed. 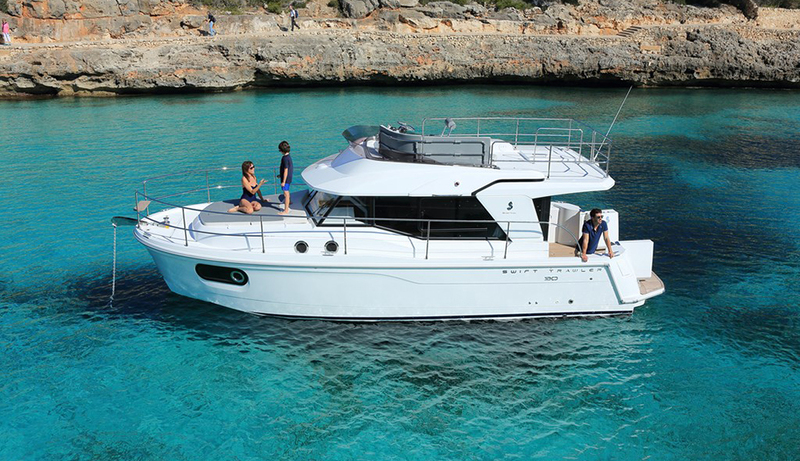 Beneteau's Swift Trawler 30 works hard to maximise useability on a modest length of platform. The smallest of the four Swift Trawler models models punches well above its weight in terms of its organisation of space. 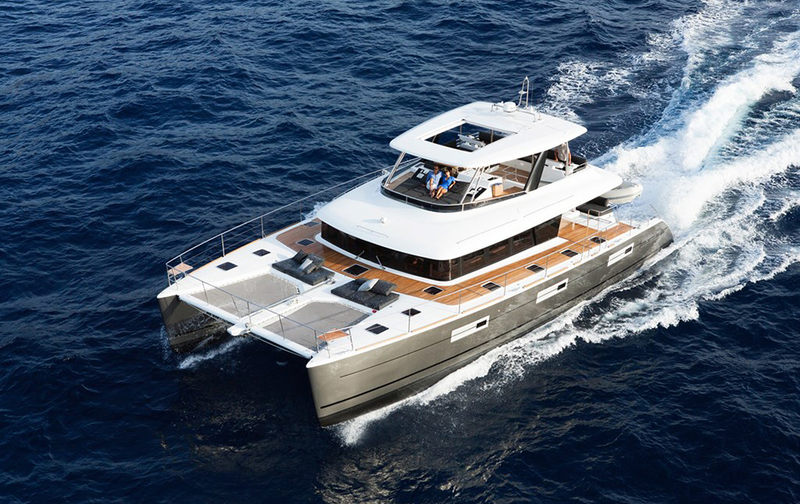 For a start, the relatively steep, trawler-style structure helps maximise internal volume and Beneteau has made the most of that with some clever features. The cockpit uses a pair of hinged transom gates with fold-down bench seats, plus a ladder to access the fly that folds flush against the aft end of the wheelhouse structure. There’s also a broad side deck to starboard with shelter from the elements and a surprisingly generous Skipper’s door for easy seamanship. With its large (if slightly shallow) fly deck, allied to its optional two-cabin configuration and its convertible dining station in the saloon, this is a remarkably effective three-deck cruiser - but if you can afford to upgrade, the new Swift Trawler 35 is arguably even better.